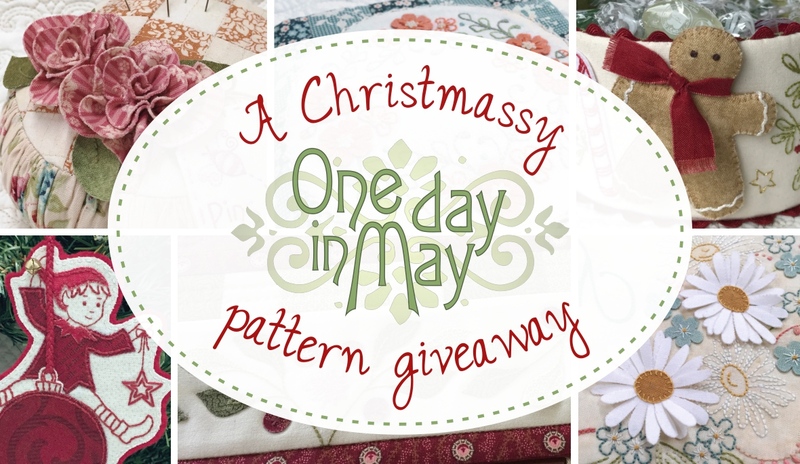 A Christmassy, One Day in May pattern giveaway! 2016 has been a year filled to the brim! 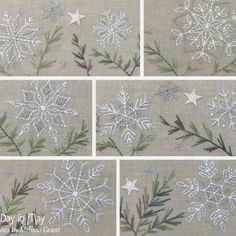 There has been travelling and stitching days, classes and lots of new patterns... with dimensional daisies, gingerbread men and roses, vintage stitchery, swinging elves, a jewellery keep, needlework roll and more. I'm a blogger with good intentions... or in other words, "I'm so behind with intended blogging!" 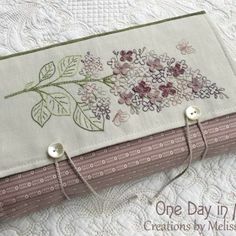 I haven't even shown you the patterns I released in April! 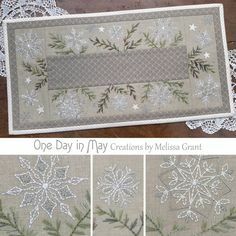 And there's another that I released last week I want to share, but first things first. Please indulge me as I attempt to catch up. 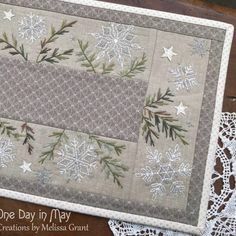 I was invited to contribute to this years' Christmas in July issue of Homespun Magazine, and couldn't resist.